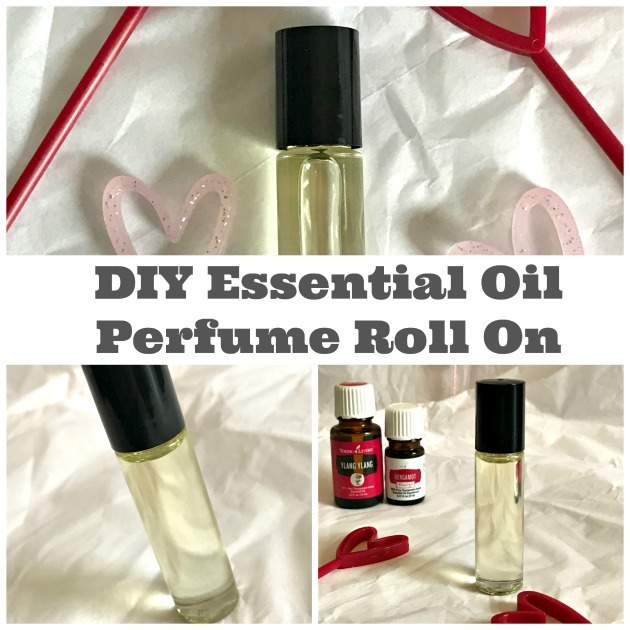 Have you ever tried to make your own DIY roll on perfume? It’s much easier than you might be thinking. 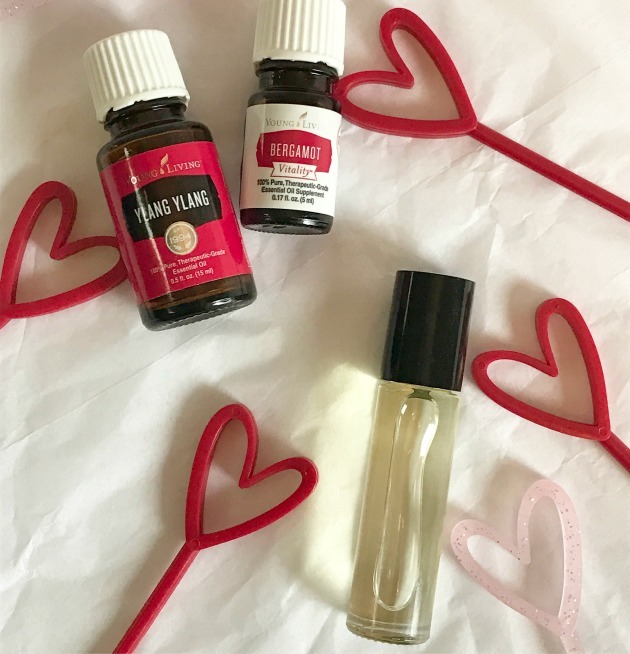 I started making my own natural fragrances with Young Living essential oils a few months ago and I absolutely love them! The high quality of these essential oils gives you quite a lovely scent from just a few of drops. This 3 ingredients homemade essential oil perfume recipe is so simple to make and lasts for at least 2 months if using everyday. I am sure you will enjoy the all natural fragrances of these essential oil perfume recipes. If you need Young Living essential oils, I am a distributor so you can order them through my website here. Grab your supplies and head to the kitchen counter. Start with your glass roller bottle and essential oils. Add 10 drops of your Bergamot Essential Oil and 10 drops of your Ylang Ylang Essential Oil. 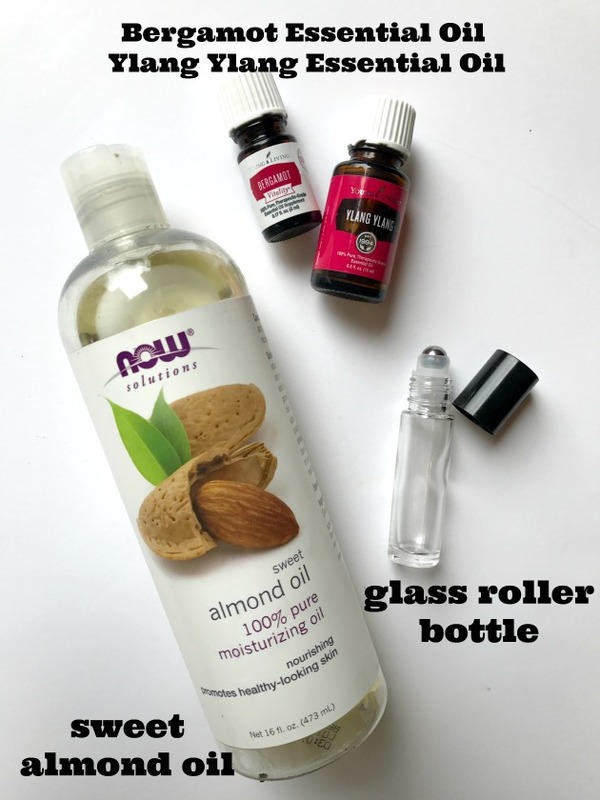 Once those are added, fill the rest of your roller bottle up with Sweet Almond Oil. Pop the roller ball top on and you have your own essential oil fragrance! This combination is floral with a touch of citrus. It’s perfect for anytime of the year. If you aren’t much of a floral fragrance person, here are a couple other essential oil combinations that you might like to try! Follow the same instructions as above but your substitute your favorite fragrant essential oils. Do you think this sounds like a DIY roll on perfume recipe you’d like to try for a DIY fragrance of your own? 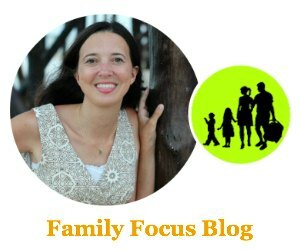 It’s so simple to make roll on perfume with essential oils and there are so many different and unique combinations to create. There are lots of woodsy essential oils (such as sandalwood and cypress) available for guys to use. Let me know what you think of these essential oil perfume recipes and feel free to leave essential oil combination ideas in the comments below! Hi! i love to make perfume, how to start? I have no idea where i can buy those material for perfume essential oil. I’m from Philippines.